Daisuke Kimura has a new print available titled, “Ghido God Giga”. 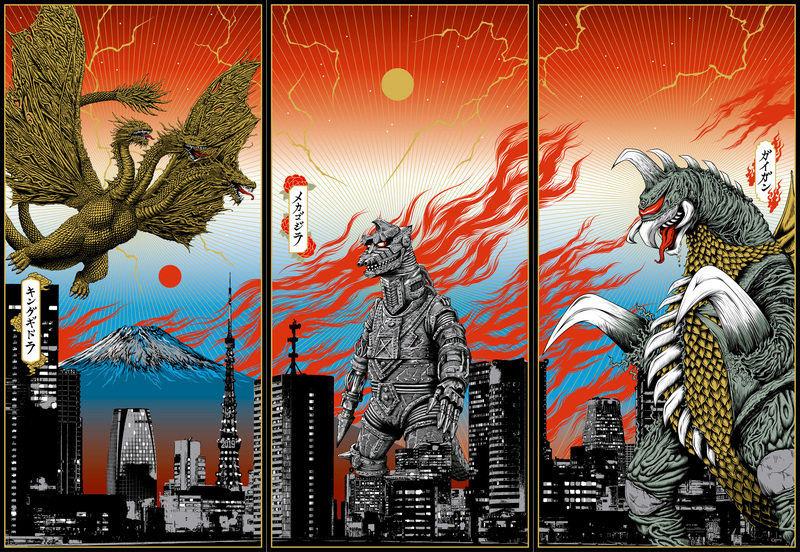 It is a triptych set of prints inspired by Godzilla. On sale now HERE. This entry was posted in Art Prints and tagged Daisuke Kimura, Ghido God Giga, Godzilla by admin. Bookmark the permalink.